The new Infrared Thermometer OSXL207 is an 8:1 noncontact temperature measuring instrument using infrared technology and laser sighting. 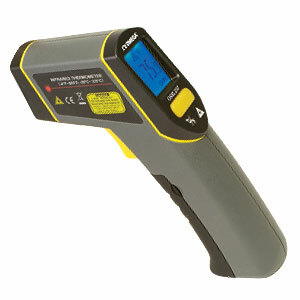 Features include a 4 digit backlit LCD, scan/hold function and auto power off. Note: Comes complete with battery, NIST certificate of calibration, and operator’s manual.